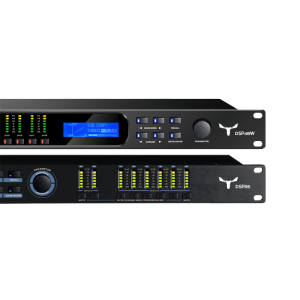 The DSP series compromises two versatile and advanced DSP Audio Processors providing the ideal tool for enhancing, updating and protecting any sound system using the latest technology in sound processing. 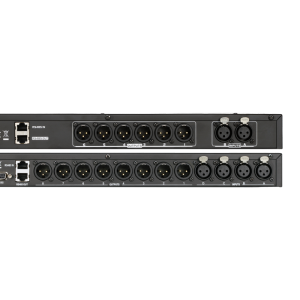 Both DSP26 and DSP48W features analog inputs and outputs precisely balanced with XLR 3p connectors, with 2 (two) inputs and 6 (six) outputs for the DSP26 and 4 (four) inputs and 8 (eight) outputs for the DSP26 configurations that are ideally suited to manage a multi-speaker sound system in any sized venue. With the 24-bit/48 kHz high-end AD/DA converters, these DSPs offer sound quality and flexibility needed between your mixer and amplifiers to optimize and protect your loudspeakers. Both units are completely configurable and its processing capability includes Gain, Parametric EQ, Shelving Filters, Time Delay, Crossover Filters (Butterworth, Linkwitz-Riley, Bessel), Compression, Limiting and 30 user-defined internal presets storable. 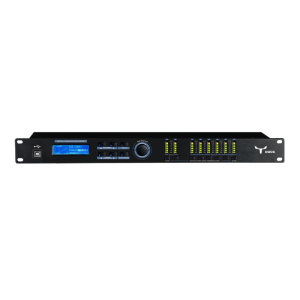 These DSP units can be controlled or configured in real time on the panel or with the intuitive PC app accessed via the RS 232, RS 485 or USB TYPE-B (USB1.1) interface. 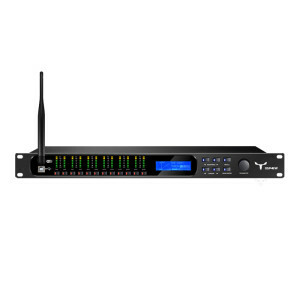 Moreover, the DSP48W can be WIFI controlled from a remote PC software control compatible with Android, Windows and Mac iOS, which makes it much easier to control and monitor the device. The DSP26 and DSP48W are the answer for a complete optimization for both passive and powered loudspeaker systems providing all the processing tools to make your venue sound like it was tuned by the pros, designed for the touring or fixed sound installation markets.